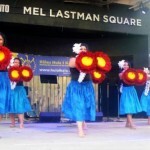 North York, Toronto’s city within a city, has become quite the unique multicultural area that is not only great to live in, but excellent to dine in. And the best part is, you won’t have to go far to find delicious, piping hot pizza, a Canadian staple. Since practically everyone loves pizza, it’s always a safe bet for a great dinner (or lunch… or breakfast). Here are a few wonderful places to get mouthwatering pizza that are in or near North York. The hardest part will be choosing your favourite. Cucina di Paisano has been serving authentic Italian food for 50 years. While they serve everything from pasta to seafood, their pizzas are outstanding. The crust is thin, the sauce is fresh, and the toppings are always perfect. La Traviata is one of the most popular places for pizza in North York and for good reason. Their gourmet pizzas are delicious, and the menu is extensive. Choose from one of their specialty pies, veggie pizzas, or carnivore options. Can you say yum? There’s pizza, and then there’s the pizza at Descendant. Their square-shaped pies start with a chewy, thick Sicilian crust, followed by a heaping of toppings and sauce. 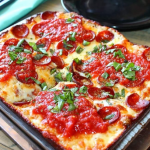 Detroit-style pizza is often called “upside down pizza” because the sauce is on top—but rest assured, it doesn’t matter where it is. You’ll love it. Even though Da Venezia Gourmet Pizza is fairly new, it’s owned by people with over 25 years in the restaurant industry. The pizza is made fresh daily with vegan tomato sauce and preservative-free ingredients. Da Venezia is a casual eatery with only a few tables, so it’s best to try it on a night when you’re in the mood for takeout. When you need a good old-fashioned classic pizza in your life (through takeout or delivery), Regino’s is the place to go. They’re a local chain with a great reputation and great specials. This is the perfect pizza option for feeding a group (or an extremely hungry couple). Not only does Buzz Buzz Pizza have an excellent name, they have incredibly tasty pizza. Wilson Avenue’s most well known (and decorated) pizza joint is a local favourite. And best of all, they offer free delivery! If you’re ever looking for a fairly fast, casual but still high quality meal, head to Bayview Village and stop by their Il Fornello location. This local chain has been around for decades, and their pizza is still top notch. With several locations in Alberta and Ontario, you might think that Via Cibo would be an unassuming, possibly unimpressive Italian restaurant. Luckily, that is not the case. Inspired by authentic Italian street food, their chefs play tribute to the slow-cooking, from-scratch recipes that Italy is known for. The salads, pasta, and entrees here are all wonderful, but the pizza is phenomenal. Their Margherita Pizza is as authentic as it gets. They even serve a white pizza, La Sparta, that is exceptional. Out of all the many benefits of living at Via 123 Apartments in North York, the abundance of nearby pizza options is definitely one of the best. The next time you’re craving a mouthwatering pizza in North York, stop by our luxury building and allow us to show you around. Or, just contact us today to schedule a tour—you can always treat yourself to pizza when you finish.